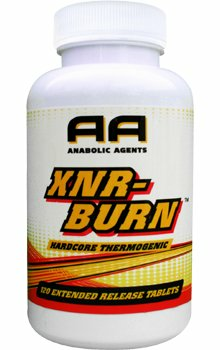 Anabolic Agents XNR-Burn On Sale! 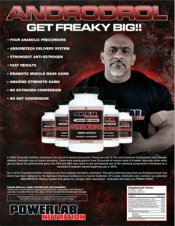 Clinically proven blend of thermogenic compounds which may help you increase the body's metabolic rate and energy and promote loss of weight and body fat. 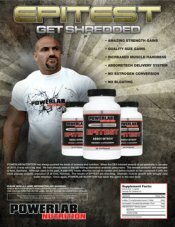 Our advanced formula will make your energy levels explode and help your burn fat. 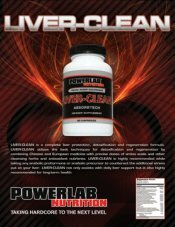 This product is free of ephedrine -group alkaloids and is naturally safe and effective. 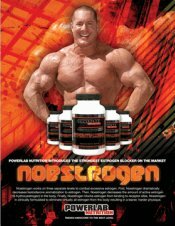 XNR-Burn™ intensifies your bodies ability to burn fat and lose weight rapidly. Proprietary Blend: 1075mg	L-Tyrosine, L-Theanine, Yerba Mate leaf (Ilex paraguariensis)	(standardized for caffeine and theophyllin), Guarana seed	(Paullinia cupana)(standardized for caffeine and theophyllin),	Cocoa seed (Theobroma cacao)(standardized for theobromine),	Green Tea leaf (Camellia sinensis)(standardized for polyphenols	including epigallocatechin gallate (EGCG), Green Coffee bean	extract (Coffee arabica)(standardized for chlorgenic acid and	caffeine), Infused with natural caffeine. Other Ingredients:	Calcium phosphate, cellulose, sorbitol, gamma beta-cycodextrin,	cephalins, xanthan, inulin, magnesium stearate, natural	protective coating. 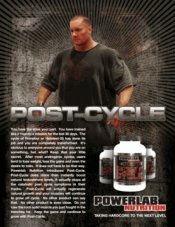 Directions For Use: Take two tablets with breakfast and two	tablets 30 minuites prior to training. Consume four -	10 ounce glasses of water per day. Warnings: Do not take more than 4 tablets in an eight hour	period. 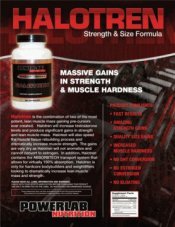 A standard serving of this product contains about	300mg of total methylxanthines (including caffeine), which is	the amount typically found in a 10 oz. cup of coffee. Too much	caffeine may cause nervousness, irritability, sleeplessness, or	occassionally, rapid heartbeat in some individuals. This product	also contains theobromine and theophyllin, methylxanthines	related to caffeine. Individuals who are sensitive to caffeine	may also experience sensitivity to these methylxanthines. Consult your physician prior to using theophylin if you are using	asthma medications.